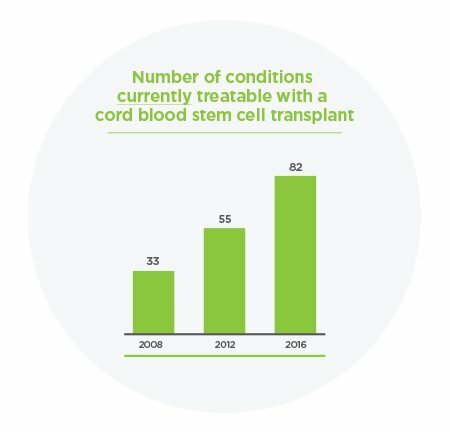 Cord blood stem cell transfusions are now being used as an alternative to bone marrow transplants for life threatening conditions such as blood cancers, immune system and metabolic disorders. Your baby’s cord blood contains a diverse mixture of important cells, including stem cells. Cord blood is a particularly rich source of haematopoietic stem cells (HSCs), which have the ability to create and heal our organs, blood and the immune system. Because of their “youth”, stem cells from umbilical cord blood are among the most flexible and potent in the body. Worldwide, cord blood has been used in over 40,00042 transplants in the treatment of over 80 conditions43. In Australia, over 500 cord blood units have been released to treat many conditions here and abroad33. 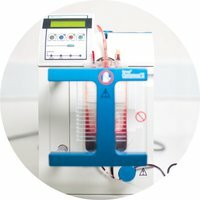 Why is cord blood commonly used in treatments? 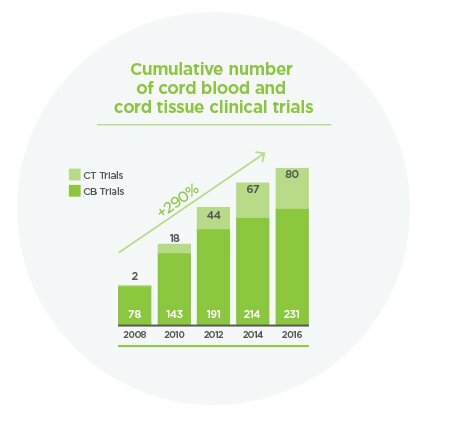 In a growing number of advanced clinical trials, scientific research is evaluating how cord blood cells may provide new therapies for a broad array of diseases including cerebral palsy6, autism5, type 1 diabetes7 and paediatric stroke8. View details of the trials using cord blood as a source of potential therapy. * Storing your baby's cord blood stem cells makes them available to potentially treat diseases like those listed above. For inherited genetic conditions, the child may not be able to use his or her own stem cells. In these cases, a matched sibling's stem cells may be an alternative. For further information on current & future uses, download our Cord Blood Diseases Treated (153.2 KB) .